A very very very cute pet photo from Sainsbury Supermarket years ago. I cut it out from a leaflet. 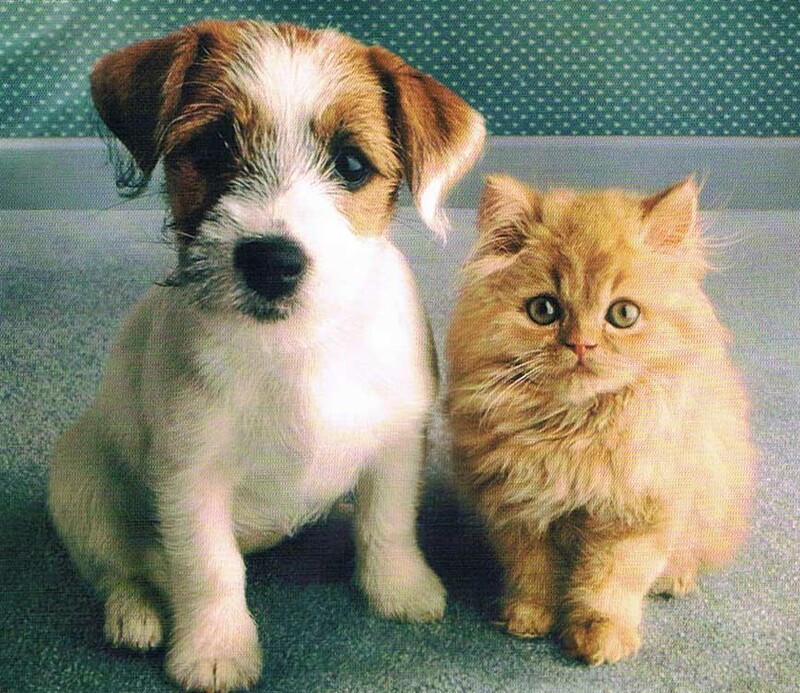 It perfectly shoes the honesty of the little dog and the elegance of the kitten.